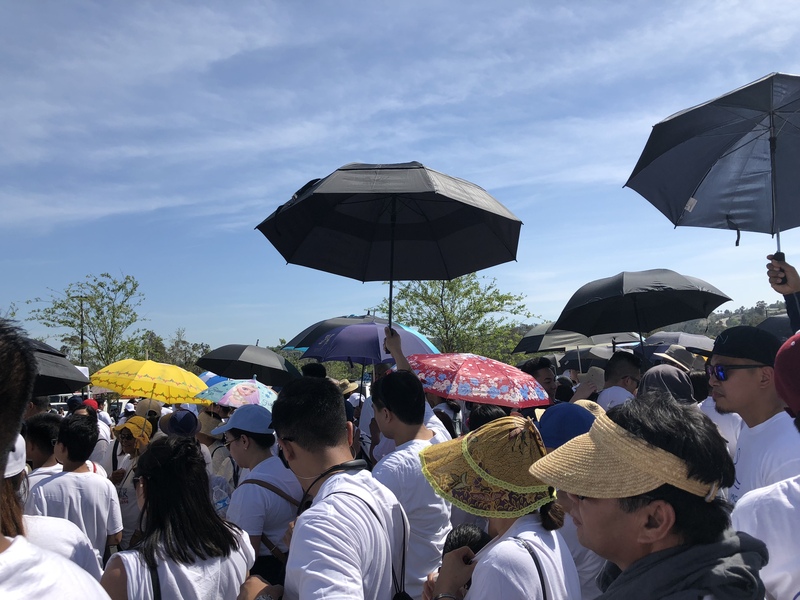 The Iglesia Ni Cristo, or the Church of Christ in English, launched a simultaneous World Wide Walk Against Poverty on May 5. In southwest California, the venue was in Santiago Canyon College in Orange, Calif.
About 3,000 people came together to spread awareness on poverty. Santiago Canyon College was not the only venue, there were 129 sites in 16 countries, which include Paris, France and Barcelona, Spain. This World Wide Walk was also an attempt to break a Guiness Book of World Record, the Largest Charity Walk in Multiple Venues, which is also held by them. Though the were not able to break this, they ended up breaking another three records. They broke the Largest Mosaic Formed by People, the Largest Human Sentence, and The Largest Charity Walk in a Single Venue. All of these were broken in a Philippines venue.